Open Heart is a dharma-method that combines ageless principles and yogic knowledge with a modern and pragmatic approach. Our system unifies ancient and modern for our practitioners to come into deep understanding of themselves, for the benefit and liberation of all sentient beings. We do not claim to have invented anything new but we have looked into and explored the old ways. We hold the teachings of buddhism, buddha dharma, in high regard but do not wish to carry ritualistic or cultural traits from other times and places with us. Instead, we think that people of each time and culture need a way that they can relate to and understand, preferably as easily as possible but still with a concretic outcome. As buddhists of the great vehicle (skt. mahayana) and vajra vehicle (skt. vajrayana) we subscribe to common buddhist principles such as The Four Noble Truths, The Cycle of Rebirth, Refuge in the Five Jewels and Bodhicitta-motivation. Through commitment and regular practice of our teachings we can gain faith and confidence that full liberation, attainment of buddhahood, is possible in this single lifetime, no matter who or where you are. 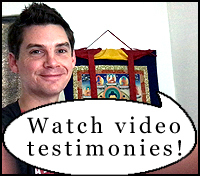 We would like to invite you to try the teachings offered here. They have been given and blessed by our vajrayana masters, such as Guru Rinpoche and Yeshe Tsogyal, to the founders of Open Heart-system. To Open Heart-practitioners, many of whom have decades of prior training in other buddhist training systems, these exercises have been life changing, just like dharma-teachings should. Open Heart-path starts by becoming awakened and getting it verified by one of our teachers. Awakening means realising that your sense of self, "me" or "I, is not real. This is a major shift on one's path and has a great impact on one's life because after the shift you are able to meet and experience your life, with all the ups and downs without as much self-based hassle as before. When you wake up from the delusion of self, you set your foot on the path of yogis and buddhas. Awakening also gives you faith and confidence about dharma-teachings in general. It is highly unsual for any buddhist method to offer a certain technique that directly generates awakening. In most buddhist schools such techniques do not even exist but in Tibetan dzogchen they do, although traditionally they have never been taught openly. We have changed this. On this website, under a separate menu, you can find all the information you need on awakening (jap. kensho, tib. semngo tropa, p. sotapanna, stream-entry). Read more about Awakening and The Two-Part Formula from the Guidance to Awakening-menu. Almost all schools of buddhism have maps of progress which indicate how the practitioners proceeds in his or her practice. They exist in theravada, mahayana and vajrayana buddhism. In Open Heart we have a map called "Open Heart Bhumi Model" (OHBM) which similarly to all other maps shows a progression from the deluded state to the fully enlightened state of buddhahood. In this way the Open Heart Bhumi Model is not any different than other maps of buddhism. However, unlike other ways of mapping stages and attainments, OHBM is applicable to anyone regardless of denomination because it directly looks at the changes in one's energy body. Like all other path models, the OHBM is not based on certain terms and descriptions developed in a certain time and place by certain people, although study of verbal descriptions can also be very useful. The Open Heart Bhumi Model can be used to map one's own or anyone elses stage and through dedicated study it can be learned by anyone. Read more about Open Heart Bhumi Model. Open Heart-method is firmly rooted in the living blessings of mahasiddha gurus, realized buddhas. Our main gurus are Guru Padmasambhava, also known as Guru Rinpoche, who is the most well known master of vajrayana buddhism, and Lady Yeshe Tsogyal, who was the main disciple and consort of Guru Rinpoche, and who became a great master in her own right. We tune into the presence of our masters in every practice session through prayers and mantras. This is called Guru Yoga. Often Western people find the idea of turning to a guru quite strange. Maybe it is helpful to understand that hundreds of millions of tantric buddhists have done it hundreds of years every day. In fact, also Christians practice guru yoga by turning to Jesus so the basic idea is not that foreign after all. In the beginning it is all right to be a bit suspicious. Just keep an open mind and be willing to experience something new. Buddhas and gurus only wish to help us to realize the same they have. Without guru's guidance we have very narrow chances for attaining complete freedom in this life time. This has been clearly stated in buddhist scriptures while emphasizing us to be "lamps to ourselves". For this reason we practice Guru Yoga and primarily take refuge in the guru, Padmasambhava and Yeshe Tsogyal. Read more about Masters and Guru Yoga. Through guru's transmission, we can come to understand our own minds. This is very hard to do ourselves. This principle is also what separates vajrayana buddhism from mahayana and theravada buddhisms. It is also essential to understand that teachers (tib. lama) are not gurus, unless they are fully enlightened buddhas. In Open Heart the name guru is strictly reserved for Guru Rinpoche, Yeshe Tsogyal and others of the same stature. Our teachers may be adressed by the title lama or simply by their name. Open Heart teaches sutra, tantra and dzogchen. Our main practice is tantric, Open Heart Yoga. This practice is supported by techniques such as The Two-Part Formula for generating the initial insight into the empty nature of mind as well as sutra-style teachings called Wisdom Meditations. All these exercises are preliminaries to atiyoga, commonly known by it's Tibetan name, dzogchen. Practicing sutra or tantra is not a strict requirement but it is a fact that extremely few can get and understand dzogchen teachings without thoroughly cleaning their minds first. So firstly, we take refuge in the guru. Secondly, we take refuge in His Pure Land or Pemako. Guru Rinpoche's Pure Land or Pemako which is also the formal name of our buddhist tradition can be understood in different ways. Firstly we can think of guru's Pure Land as our own pristine awareness, our own nature of mind. Secondly we can think of it as Zangdok Palri, the Copper Coloured Mountain which is a subtle realm created and overseen by Guru Rinpoche himself. The idea is that if we fail to attain full liberation in this body and life, we turn to Guru Rinpoche for him to take us to his Pure Land after we die, so that we can continue our practice in his direct guidance in his Pure Land and hopefully reach our goal there before we are required to take new rebirth. Many vajrayana buddhists, including Open Heart-practitioners, have had visions of Guru Rinpoche's Pure Land. Next we take refuge in the Buddha, Dharma and Sangha that are commonly known as the Three Jewels. Buddha refers to our innate buddhahood, our own buddha mind. Dharma refers teachings and practices taught by the guru, including moral and ethical guidelines such as honesty and nonharming. Sangha refers to our community of practitioners but also to all sentient beings that all have buddha nature. As people of common sense, we do not subscribe to unstudied beliefs. We wish not to waste our time and energy with anything that cannot be studied, analysed, constructively critisized, tested, proved and personally experienced. We consider the direct relationship between a teacher and student important and precious because a teacher who is more experienced than ourselves can show and teach us many beneficial things. Having said that we also remember that both the student and the teacher are deluded, samsaric beings. Both of them should see each other as dharma practitioners as well as human beings. The purpose of practice is to look into and be open to our suffering and confusion. There is no other way to come to as profound understanding as the buddhas and gurus have come. This requires constant alertness, being smart, intelligent mapping, willingness to suffer and resilience not to give in. The path of dharma need not be hard, heavy and too serious but meeting with one's suffering and delusion in the forms of anger, anxiety and fear for example is not always a joyride, despite that the greatest freedom is in our our greatest confusions. When seriously engaged, there will be obstacles. You need to be aware of that. If your motivation is ripe, you can take it and use it for practice. If your motivation is yet to ripen, you will try to wiggle out from the discomfortable emotions. You should yourself know what your motivation is because it is you alone who is responsible for yor own life and karma, not others. When difficulties come be smart and stay in the move. Don't get paralyzed. Be aware of yourself as the selfless space that cannot be harmed by rollercoaster emotions, by fire or bullets and be aware of what arises. Resilience is the way to be successful on the path of dharma. Don't worry, you receive plenty of help when you ask for it, both from your lama, guru as well as from the sangha (community). The path is serious but also joyful. Life as it is commonly experienced is filled with pain, difficulties, destructive emotions and self-created confusion. It is all in our mind. The problems are not external to us. We need to have firm motivation and stability in our efforts to overcome all obstacles but it is also true that with practice our life becomes permeated with a sense of freedom, openness, kindness and true love that is not ego- or thought-based. That is our buddhanature seeping in through the cracks caused by our practice. This sense of being free and open like the sky is how we come to know ourselves through committed efforts. Openness and love, our true nature devoid of self, is already there but it is hidden and obstructed by our mental and emotional conditioning, our sense of me-ness, our sense of being a separate entity. But it can become our default mode! This natural being, primordial awareness, can be glimpsed right from the beginning of our practice. It, the real you without you, is always there. What a relief! We invite you to familiarize yourself with the Open Heart teachings. If you have any questions, feel free to contact our teachers in person or through email. We also welcome you to join our live events that are held wherever we are asked to come. If you wish, you can also invite our teachers to come to your city to teach. Instructions here are parts of Open Heart Yoga. Sit down in a good relaxed posture. Keep your eyes open with a soft panoramic vision. You are seeing the whole room in front of you, not focusing on anything particular. You are seeing the ”whole forest”, not one particular ”tree”. Take a few deeper breaths if you feel like it. Then let the breath be on it's own. Scan the inside of the physical body. Be alert to notice any tentions. As you notice tensions, allow them to be released. When a tension releases, make notice what is found from the place of the released tension. Look carefully to find that out. What you find is clear open space. Good. Continue releasing other tensions by going through the whole body space. Don't hurry. Do it carefully with time and everytime a tension is released notice the open space in the place of former tension. Now as you keep doing this the small areas of open space start to feel like one unified field which is both within and without the physical body. Make notice of that, relax and marinate in that space. Rest in that with some sharpness of mind so that you don't become drowsy. Also, make notice that there is no one there in open inner space. There is no ”you” there. This takes a couple of minutes. Jewel Visualisation Part 1: After, having taken a seat and recognised the spaciousness, visualise your physical body being made of transparent diamond or crystal stone, like an ice sculpture. After about half a minute of doing this continue to the second part of the visualisation where you extend the transparency to the whole aura around your physical body. Extend the visualisation about 1½ meters from the surface of the skin in all directions around the body. Jewel Visualisation Part 2, Chakra Pillars: First feel your body for a moment. Then feel the general area of the pelvic floor and from there extend your attention straight downwards below your physical body to the distance of at least 6 meters or infinitely more. By doing so you activate the pillar of 7 energy centers, or chakras, below your body. Feel the effect for half a minute to a minute. Then, to activate the pillar of centers above the head, extend your attention from the top of your head to the space above the crown, at least 6 meters. With both pillars, when you reach the centers relating to the mahasiddha bhumis, that is, the centers that actually are your own innate buddhahood, you will notice that your mind becomes utterly clear. Feel the effect for half a minute to a minute. When you make the request, be attentive to receive the blessings in your own body, mind and heart. 2 minutes. Third part of the practice is called ”guru yoga” with Padmasambhava. If you are not familiar with who he is, do some googling to find out. He is a well known master, who lived in a physical body about thousand years ago. Even though he has left his body long time ago, his awareness, energy, blessings and actual guidance are always, in any time or place, available to us. Guru yoga which means tuning into master's presence and becoming unified with him or her, is the foundation of all tantric yoga practices. This is because by being together with a master, your own mind of many confusions and impulses becomes momentarily replaced with her energy, clarity and spaciousness. This is the compassionate help of a spiritual master available to anyone, anywhere, you included. When you get a taste of this in the first couple of sessions you can already see the benefit of doing this. Tuning into Padmasambhava's presence can be done in couple of ways. For example, simply by asking him to give his blessings to you, as in a simple prayer. What we use here is his guru mantra, which is to be repeated aloud with open mind and focus for 5-10 minutes: Namo Guru Rinpoche (click for audio). Chant it with openness and relaxation and after chanting, welcome Padmasambhava's presence into your body, mind and heart, receiving his help and blessings. When you feel his subtle energy come to your body, just relax and surrender to it. At this point, you don't need to do anything. It is like enjoying a warm bath and letting the warm water do it's thing. After some time, the energy of Padmasambhava's blessings begins to subside. You can notice how in your bodyspace the sensations of energy in movement, like flowing and bubbling begin to calm down. You can notice that the mind is calm, clear and open. When this happens, continue to Ati-meditation. This phase takes about 10-20 minutes altogether. Don't hurry. The last part of the practice is nonmeditation (dzogchen atiyoga), together with Phet*-mantra. Ati means ”primordial” or ”original”. A good name for this practice could be ”relaxed openness” or ”natural openness”. Openness here does not only refer to open eyes but to openness, unobstructedness and clarity of our natural untouched awareness. It is simply ”being free” without trying, without doing, without aiming and without ”me”. It is openness. Atiyoga is also called nonmeditation because simply means being naturally open, instead of some special meditative state. Phet-mantra is pronounced like ”pet” as in pet dog, just add ”h”. After the energetic sensations after tantric techniques have subsided, don't do anything in particular. Keep your eyes open in a soft and relaxed manner. You can keep your mouth slightly open, the tongue floating inside the mouth. Don't imagine anything. Don't add anything. Don't wish for anything. Don't intend anything. Don't do anything. At first you will only able to remain in the natural state not longer than a second or two. If your mind becomes busy and you find yourself thinking of thoughts or planning stuff, shout Phet! sharply 1-2-3-4 times so that the natural state is resumed. Immediately after shouts, relax thoroughly. Continue nonmeditation for 5-10 minutes or more. You can also do this for a second or two during daily activities whenever you remember it. At the end of the session, do the Embodiment Sequence, for connecting the body of plain awareness with the physical body. First notice the open mind space together with the head, neck and heart area. Then notice the open mind space with the head, chest and the rest of the body, just by feeling the skin and insides of the physical body. To finish your practice session, chant the Five Refuges (click for audio) three times in your own language. May all be-ings re-ceive my ac-cu-mu-la-ted me-rit. I de-di-cate the me-rit to the Re-fuge and to all sentient be-ings. Put your palms together and bow your head. This practice takes about 30-40 minutes at one sitting. Do it every day until you can join Open Heart Yoga-course on location. You will see that doing this has great benefits right from the beginning.